First of all, I would like to welcome you to my official website. If you have stumbled upon it by accident, then it’s worth stating that it’s business oriented. More precisely, it serves as a portfolio for my designer services that I offer to my respective customers. As you can see, it is still nowhere near a finished product, but with a lot of hard work, I hope to tidy it up in the next month or so. I could easily finish it sooner if there’s no my new hobby – skateboarding. I’m pretty sure you already hear about them, off road electric skateboards are extremely popular in USA. For those of you who already know me and the job that I do, I would like to express my sincere apologies for not being there for you in these last 2 weeks. I was moving from one domain to another and have been very busy with setting everything up. During this time, all my ongoing orders and shipments were not going accordingly, and that is why I am, once again, expressing my sincerest apologies. I did not know this whole moving process will take so much time. Worst of all, my DB was not compatible here so I had to do everything from scratch. Luckily, I still have most of the images stored in the cloud so I got that going for me, which is nice. But now that everything is slowly setting back into its original state, I will be happy to provide you with my design services once again… To be honest, I have actually missed you during these last few weeks. I didn’t receive any mail from you guys since the old contact email was lost after the move. With that being said, all of you who have not received their purchase bills, please contact me right away with your purchase and I will take care of it as soon as possible. In the light of recent events, it is only appropriate to give you some behind the scenes information regarding how are things going with the website and my ongoing business. Lately, it’s been going as good as it can. That’s pretty much why I had to move to a new domain in the first place. The old one was becoming way too laggy and could not withstand so many visitors at once. Now, the new one has much more bandwidth and is much faster (at least it is at the moment… I don’t know how will things unfold when I place the entire service/products database on it), which will hopefully result in a much more fluent user experience. Now that we got that out of the way, let’s see what sort of additions am I able to provide you with in the near future. Yup, you read that correctly. 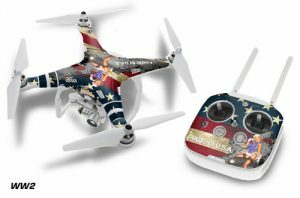 From now on, Gaither Graphix is able to offer you high-quality skins for gamepads, drones with camera and even guitars. We will be doing all 3 of these objects in 2 different ways. One of them represents the classical adhesive decals/strips that you get with your mail. It’s the typical vinyl package that you guys are probably already used to. In addition to the old designs, I have already prepared a couple of new ones. They will be featured in the news section of this website as soon as I am done with importing, reformatting and uploading them to my new database. Until then, you will only get to choose from the old ones. Now that’s only for the first method. The second one represents a brand new skin applying technique (you can read more about it down below or in the news section of this website) that allows me to make you unique skins for various 3D objects. It is called hydrographic dipping and it’s a fairly new method of applying designs on various types of 3D materials (viable materials are as follows: wood, glass, metal, plastic, and many more… If you are unsure whether or not we can hydro dip your item, feel free to contact us via the form provided on the Contact Me page). Now keep in mind that, in order for me to hydro coat your desired object, you will have to send it to me via mail. It’s a bit risky, I know, but considering that I am in this business for more than 2 years, I doubt I’ll get anything from scamming you. In other words, you do not have to worry about anything like that since all of your purchases are covered by PayPal’s guarantee. If you’re still worried about your precious items, then I have another awesome solution for you – do not send them for hydro coating in the first place. Simply order a regular skin or a decal and you are good to go. After taking a closer look at the video, I sincerely hope that you now understand how the entire process works. It is not that hard to understand, really. Truth be told, the process isn’t that big of a deal, at least not as much as the equipment. Hydro dipping equipment is pretty difficult to acquire, but luckily, I managed to do just that. All I had to do is pull some strings (my old college colleagues that I used to drink with on parties) and all equipment magically appeared in front of my door… of course, after I paid a hefty amount of money for it. As I begun explaining earlier, in order for me to effectively hydro coat your precious items, I would first need you to send them to me. If it would make the task easier for you, you can simply disassemble your items (if they’re electrical; such as drones for less than $100, gamepads, cameras, electric skateboards etc…) and only send the frames. This will make the job a lot easier for me too since I won’t have to do it myself. Perhaps I will even make a small discount in the near future for disassembled item frames sent. That seems like a pretty good idea. And now, let’s jump straight to the second new skinning technique. The next addition is a mix of conventionality and innovation. A perfect mix of the two, if I may add. I believe some of you are already well familiar with the concept of adhesive skins. They’ve been the most selling products on my website for quite some time now and as such, I decided they deserve some extra love. Up until now, we were using the ever so popular standard adhesive cover glued together with our skins. This is the same thing you will commonly see on smartphone screen protecting foils or tampered glass protections. They have that ultra-thin layer of glued surface which needs to be pulled off before applying to the desired surface. This sort of mechanism was also used with our skins up to this point, and… how should I put it simply… I did not fancy it anymore. It was on the top of my to do list for quite some time, and now finally I can say that I managed to improve it. That’s why, when I get everything set up with the website and automated orders system, I will do one final test with these new skins in order to see if they are indeed better than our previous ones. So far, the tests have been more than solid which most likely means that, starting next month, instead of the old skins you will be getting new ones. These new ones are somewhat similar to those of dBrand. I believe most of you have already heard of them. 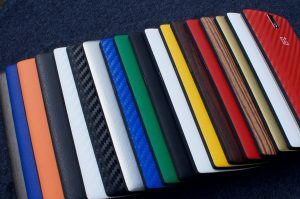 They are also in the skins business and are based in Toronto. If you have not had the chance to examine their skins, you can take a look at the picture to the right. They have a better quality adhesive combined together with a sturdier skin foil, allowing their users that extra bit of quality I was looking for. In other words, if you had the chance to use (or at least see) any of their skins, then you will know what to expect from the new ones. I believe that’s it when it comes to the second new technique. With that in mind, let’s talk a bit about the short term plans of Gaither Graphix. Truth be told, I have already mentioned some of my plans for the near future. But, as they say, revision is the key to success… So with that being said, here is a short sneak peak on my current to-do list regarding the website and pretty much the entirety of my business with Gaither Graphix during the next couple of months. As I already mentioned on numerous occasions, the website is still nowhere near what it was a couple of months ago. That’s because I am still trying my best in order to save what can be saved from the old domain. To be completely honest with you, it is not going that good. It seems that I will have to add everything manually and do most of the work from scratch. Needless to say, that is going to be really time-consuming and will leave me with no time for orders, shipments and all that. 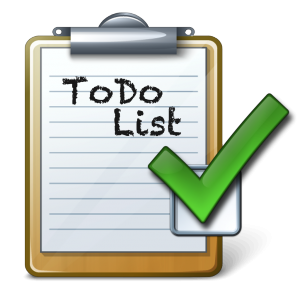 So, once again, please bear with me through the next couple of weeks because finishing with the move (read – getting the website and the automatized orders system back up and running) is currently on the top of my to-do list. This, of course, means only the basic operations and automatization of the website. Do not expect it to be completely polished with the perfect UX and all that good stuff since that is, at least at the moment, not so important for me. The hydro coating method, like I have already said a couple of times, is still not 100% tested. So far, it passed all of our tests but we still have a couple more of them in order to test it to the very extreme. Profitability is again one of the key factors here as I need to find the perfect numbers for cost effectiveness. As is the case with all other projects, this one needs to be cost effective in order for me to offer it to you… but it still needs to be relatively cheap so that you can afford it. It is not a simple task by any means, but with lots of effort I am sure I can make it come to life pretty soon. The third entry on my to-do list is probably the easiest one – the new skins introduction. We have most of the things already prepared, we just need to gather up enough materials and finish with the last couple of tests. This task will be the least time consuming one. If all goes according to my plans, it should be done in less than 2 days. Do you see this ugly interface? Do you see these nasty looking menus with generic backgrounds that make your eyes twitch? Well, all of that is going to be a thing of the past once I am finished with the 3 tasks described above. Once they are done and dealt with, I will turn all of my attention to website polishing. From the looks of it, I will most likely have to build myself a theme from scratch since I am quite picky when it comes to UI. Luckily, my friend Luke is a master when it comes to these sorts of things so he will definitely prove to be of great help during this process.